The SVN has established a Registry of Vascular Nurses with expertise in Peripheral Arterial Disease (PAD) to provide education and ABI training sessions to health care professionals. SVN is proud to promote their ABI Registry and it’s Train-the-Trainer Program. Put your staff’s training in the hands of the SVN experts. Training may occur in areas such as hospitals, outpatient settings, long term care centers, and professional societal meetings. 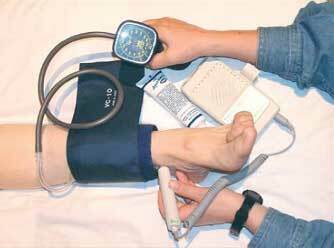 The Ankle Brachial Index (ABI) is a ratio of the systolic pressure in the ankles to the systolic pressure in the arms. The ABI is an inexpensive and accurate diagnostic tool that can be easily performed in a variety of settings. PAD affects 9 million people in the USA. 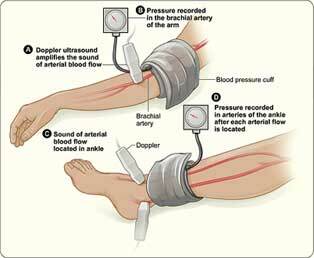 Those with PAD are known to be at a much higher risk for myocardial infarction and stroke. Additionally PAD decreases the quality of life and negatively impacts other co-morbidities such as diabetes. Early detection allows for earlier risk factor reduction and improvement in quality of life. The Ankle-Brachial Index is an inexpensive and accurate screening tool that is both sensitive and specific for PAD. This test in conjunction with clinical assessment can identify those who need further vascular care.